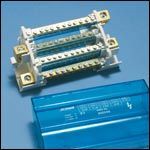 ERIFLEX FLEXIBAR flexible insulated Busbar is the preferred conductor for panel board designers and assemblers throughout the world. ERICO has a large range of power flexibles (close to 100 different sizes), including FLEXIBARÂ® insulated flexible Busbar, braided power shunts and presswelded power shunts. ERICO offers a wide range of Copper, Threaded, Punched and Plain Busbars. ERICO offers a wide range of halogen free, four pole distribution blocks, single pole blocks and supports. ERICO offers range of single pole distribution blocks. Low-cost stand-of insulators isolate electrical conductors (eg. ground bars) from their mechanical mounting preventing short circuits. ERICO offers a wide range of braids made of electrolytic copper or stainless steel for all your earthing applications and power connections. Grounding Braids from ERICO consists of tinned, electrolytic, and woven copper wire. An innovative and competitive system of busbar supports, the Compact Adjustable Busbar Support (CABS) has parts but more configurations. ERICO offers a compact range of ERIFLEX polyamide, SBS, FGBS cable sleeves. 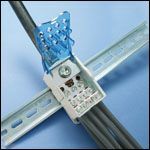 ERICO provides a number of different supports, spacer clamps and connecting clamps for Eriflex Flexibars and Busbars. ERICOâ€™s latest offering is ERILINK â€“ a busduct you can build yourself.